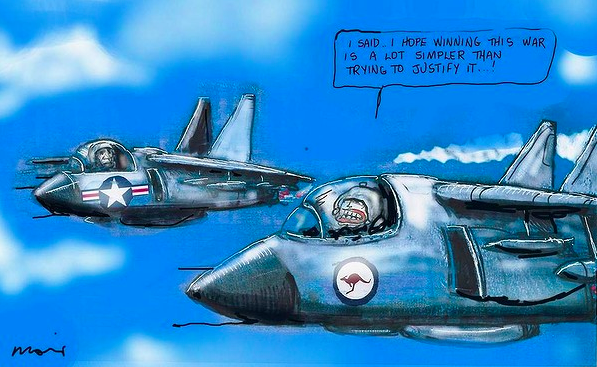 Mark Kenny: Get ready to be mugged by complexity and Does war mean we’re set for a khaki election? Jack Waterford: Can Abbott defeat IS in a war of character? Myles Morgan: Is Tony Abbott becoming the Prime Minister for Indigenous Australians? Lenore Taylor: ICAC is revealing the murky depths of NSW but what about the entire swamp? Is Tony Abbott the real deal on indigenous issues? Posted in Weekly summary and tagged Ben Eltham, Gabrielle Chan, GrogsGamut, Jack Waterhouse, Katharine Murphy, Kevin Bonham, Laura Tingle, Lenore Taylor, Mark Kenny, Michael Gordon, Monica Attard, Myles Morgan, Peter Brent, Peter Hartcher, Peter Martin, Phil Coorey, Sophie Morris, Tad Tietze, Tony Walker on September 21, 2014 by Drag0nista.